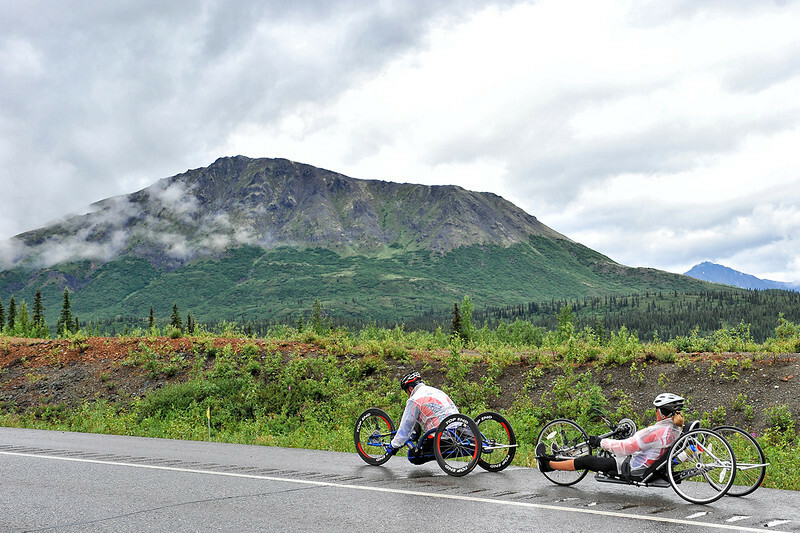 2013 Sadler's Alaska Challenge - Stage Five - Milepost 211 to Milepost 183. 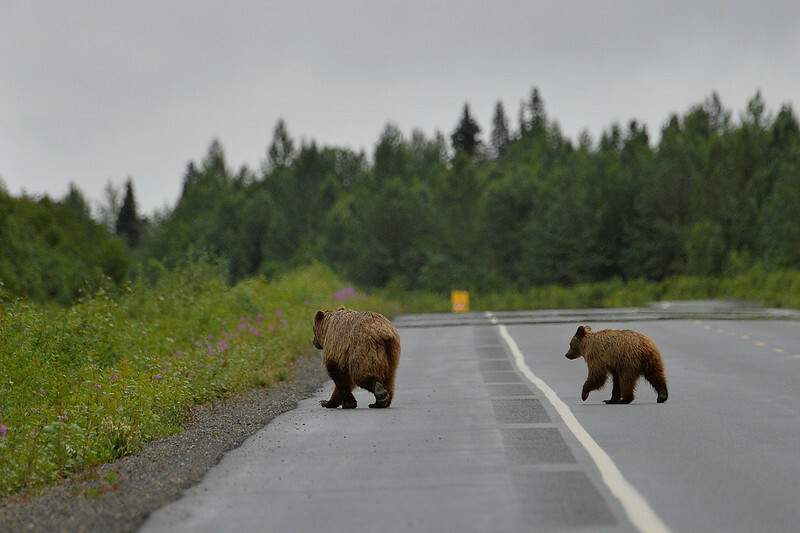 July 19, 2013: Sadler's Alaska Challenge Stage Five from Milepost 211 to Milepost 183. 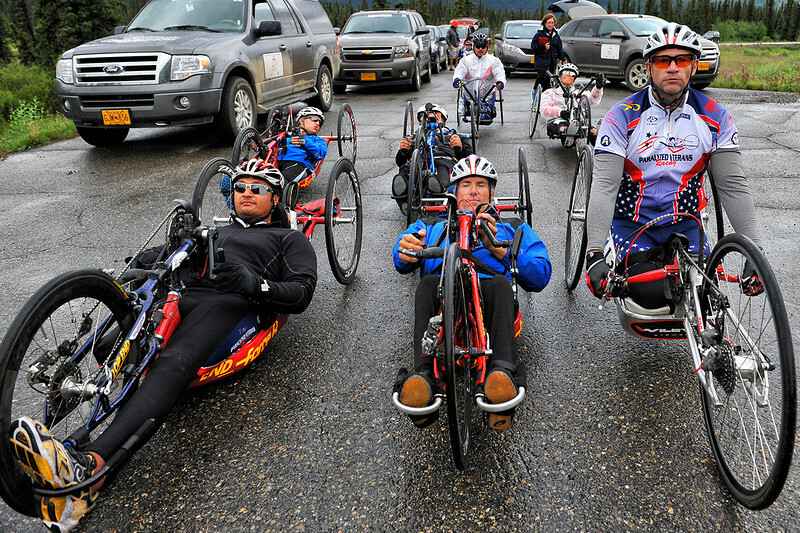 The handcyclists prepare for the start of stage five. 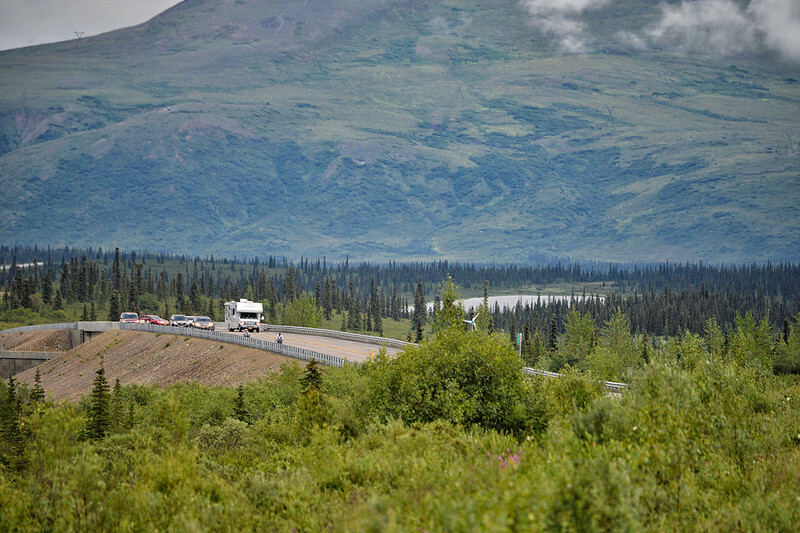 July 19, 2013: Sadler's Alaska Challenge Stage Five from Milepost 211 to Milepost 183. Jacob Freeland (Asheville, N.C.) stays warm prior to the start of stage five. Freeland finished the 28.2-mile stage in 1:31:29. 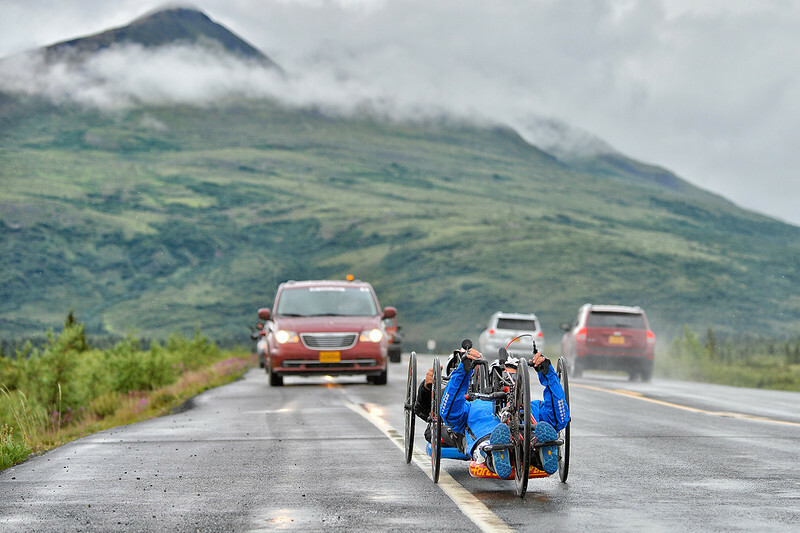 July 19, 2013: Sadler's Alaska Challenge Stage Five from Milepost 211 to Milepost 183. Peer Bartels (Leer, Germany) prepares for the start of stage five. Bartels finished the 28.2-mile stage in 1:24:15. 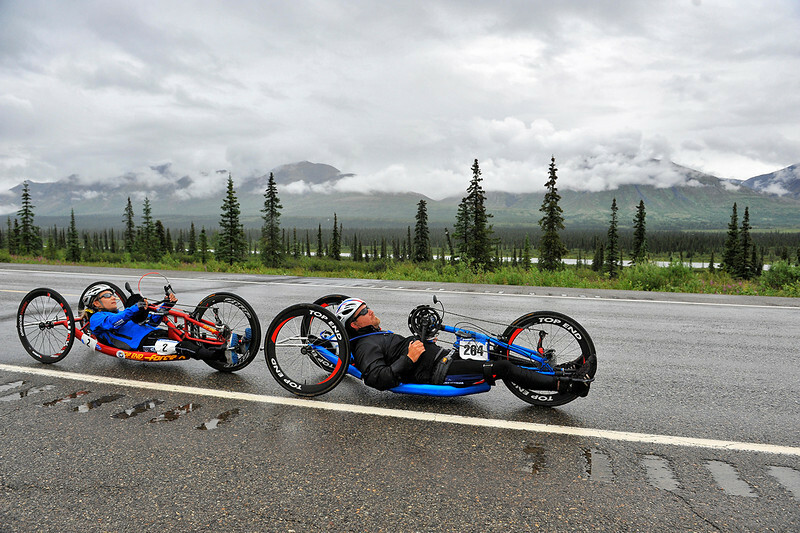 July 19, 2013: Sadler's Alaska Challenge Stage Five from Milepost 211 to Milepost 183. 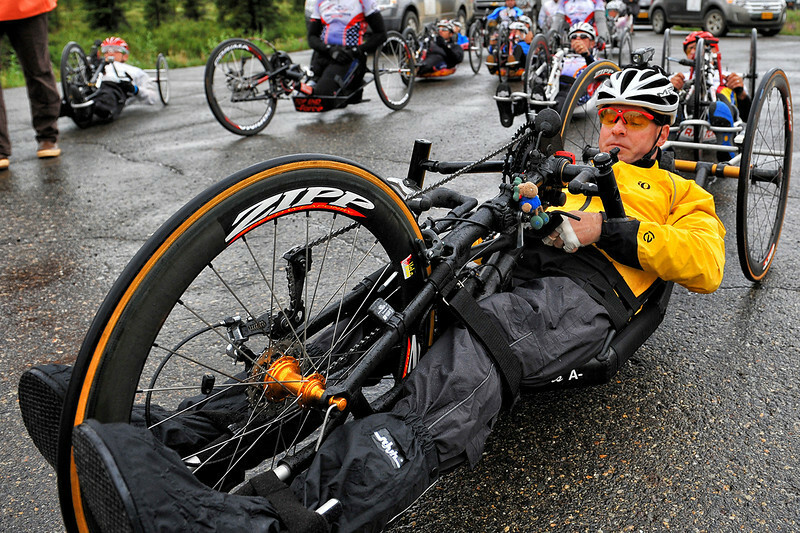 Race technical director Ian Lawless delivers final instructions to the handcyclists before the start of stage five. July 19, 2013: Sadler's Alaska Challenge Stage Five from Milepost 211 to Milepost 183. 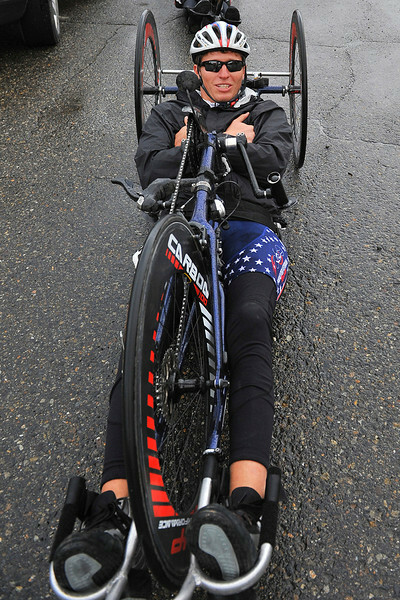 Rafal Wilk (Rzezow, Poland) rests before the start of stage five. Wilk finished the 28.2-mile stage in 1:15:08. 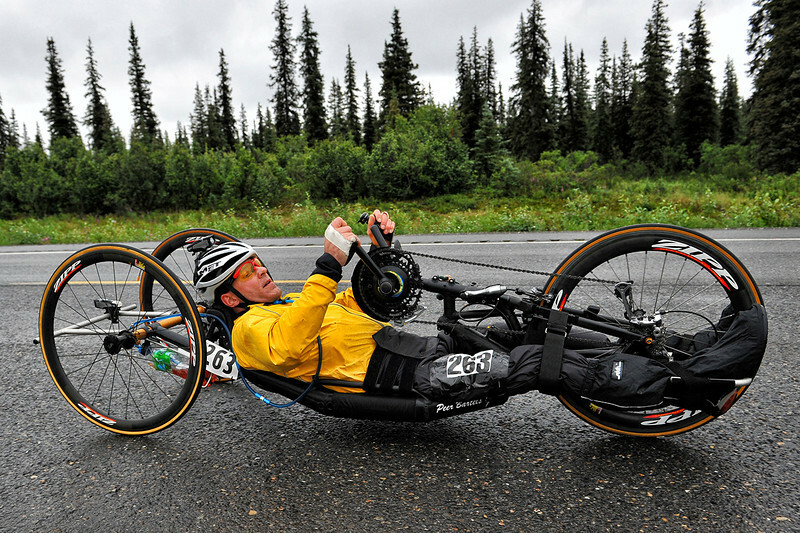 July 19, 2013: Sadler's Alaska Challenge Stage Five from Milepost 211 to Milepost 183. 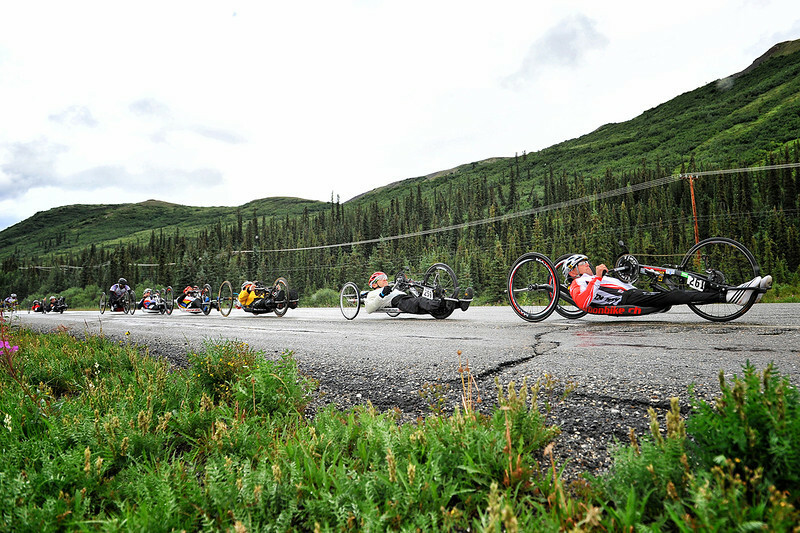 Walter Ablinger (Rainbach, Austria) leads the group of handcyclists out of the starting line along the Parks highway during stage five. Ablinger finished the 28.2-mile stage in 1:15:19. 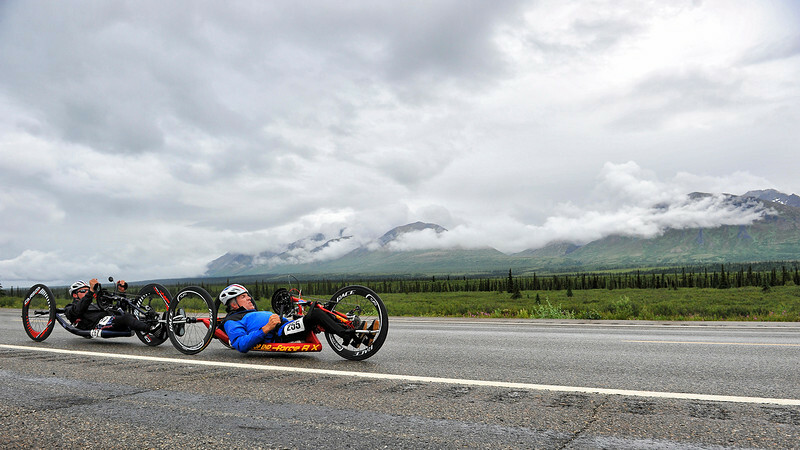 July 19, 2013: Sadler's Alaska Challenge Stage Five from Milepost 211 to Milepost 183. Peer Bartels (Leer, Germany) leads a second group out of the starting line along the Parks highway during stage five. Bartels finished the 28.2-mile stage in 1:24:15. 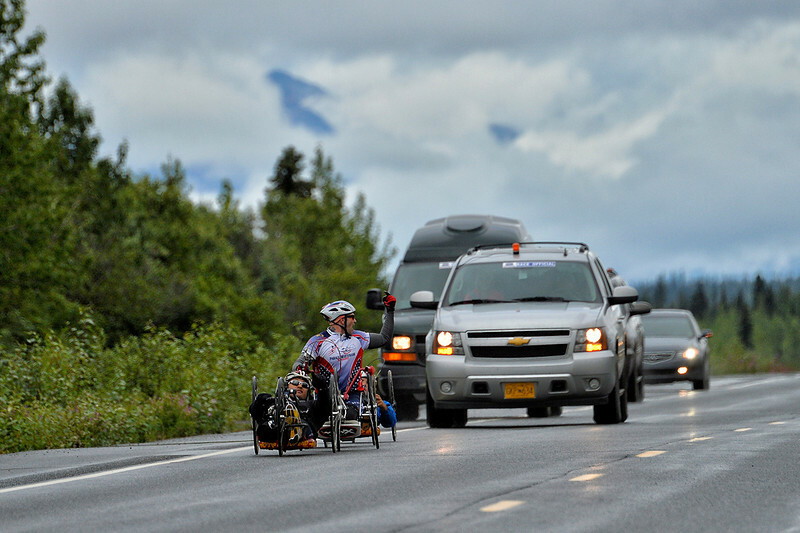 July 19, 2013: Sadler's Alaska Challenge Stage Five from Milepost 211 to Milepost 183. Jacob Freeland (Asheville, N.C.) leads a third group out of the starting line along the Parks highway during stage five. Freeland finished the 28.2-mile stage in 1:31:29. 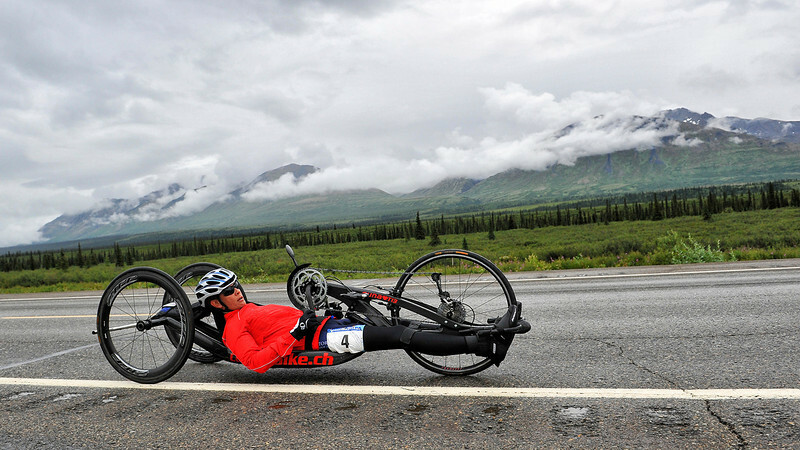 July 19, 2013: Sadler's Alaska Challenge Stage Five from Milepost 211 to Milepost 183. Robert Puckett III (St. Petersburg, Fla.) leads a fourth group out of the starting line along the Parks highway during stage five. Puckett finished the 28.2-mile stage in 1:31:43. 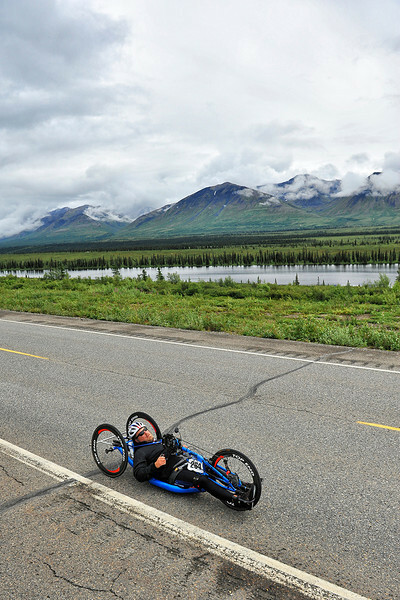 July 19, 2013: Sadler's Alaska Challenge Stage Five from Milepost 211 to Milepost 183. Carrie Finale (Navarre, Fla.) leads a fifth group out of the starting line along the Parks highway during stage five. Finale finished the 28.2-mile stage in 1:55:55. 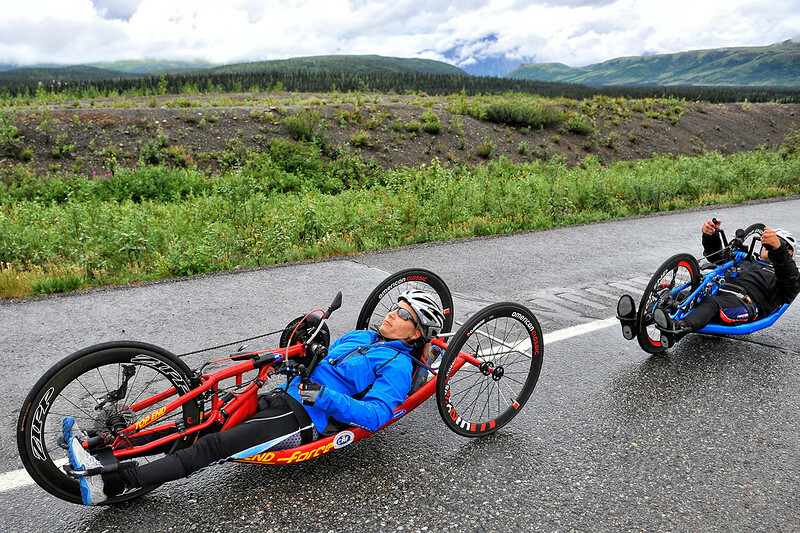 July 19, 2013: Sadler's Alaska Challenge Stage Five from Milepost 211 to Milepost 183. 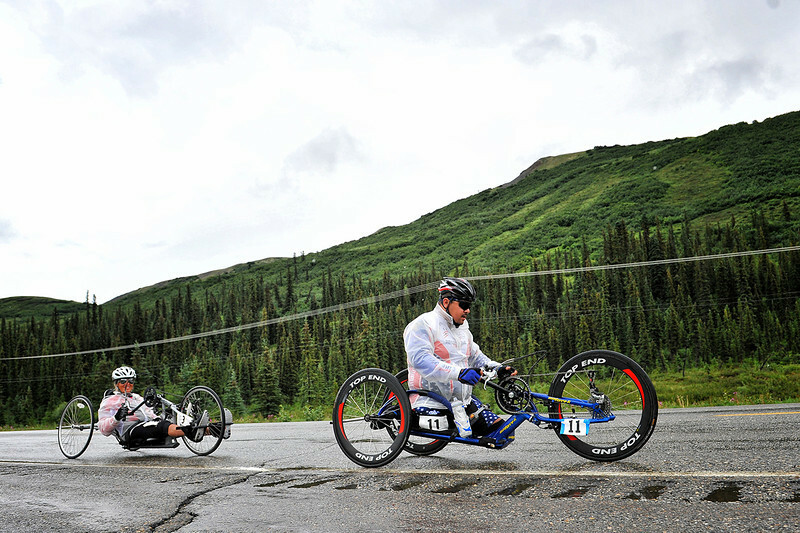 Joseph Beimfohr (Wesley Chapel, Fla.) and Karin Korb (N. Lauderdale, Fla.) race along the Parks highway during stage five. 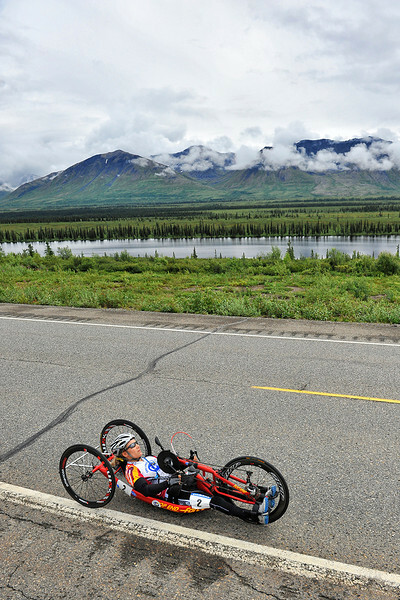 July 19, 2013: Sadler's Alaska Challenge Stage Five from Milepost 211 to Milepost 183. 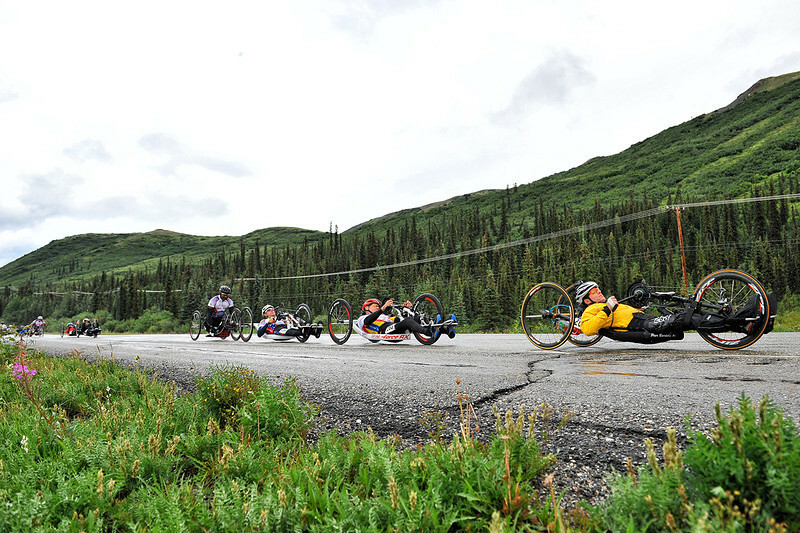 A pack of six handcyclists race along the Parks highway during stage five. 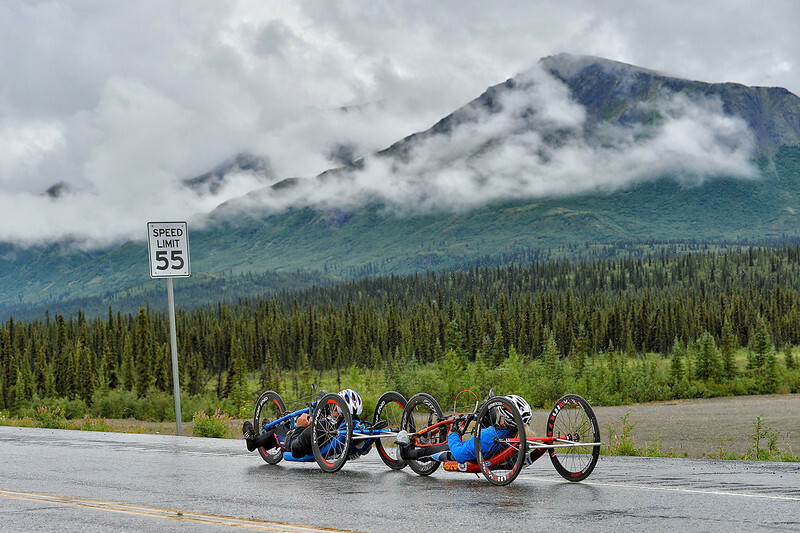 July 19, 2013: Sadler's Alaska Challenge Stage Five from Milepost 211 to Milepost 183. 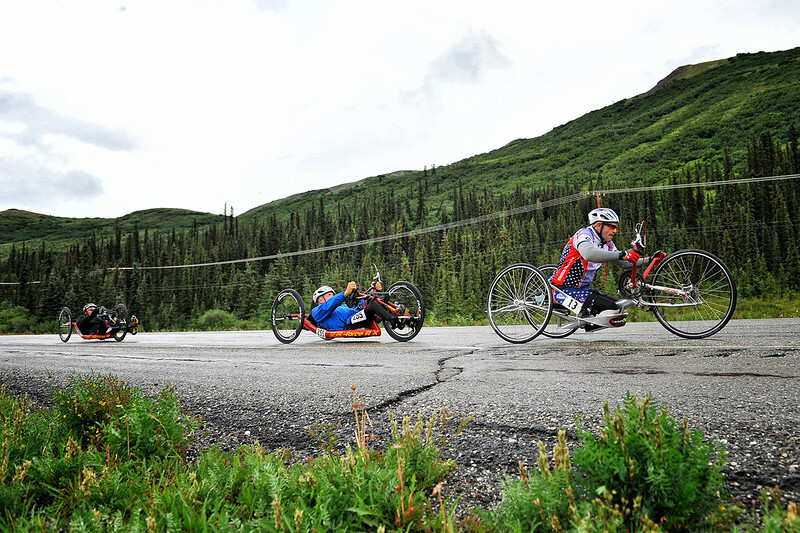 A pack of five handcyclists race along the Parks highway during stage five. 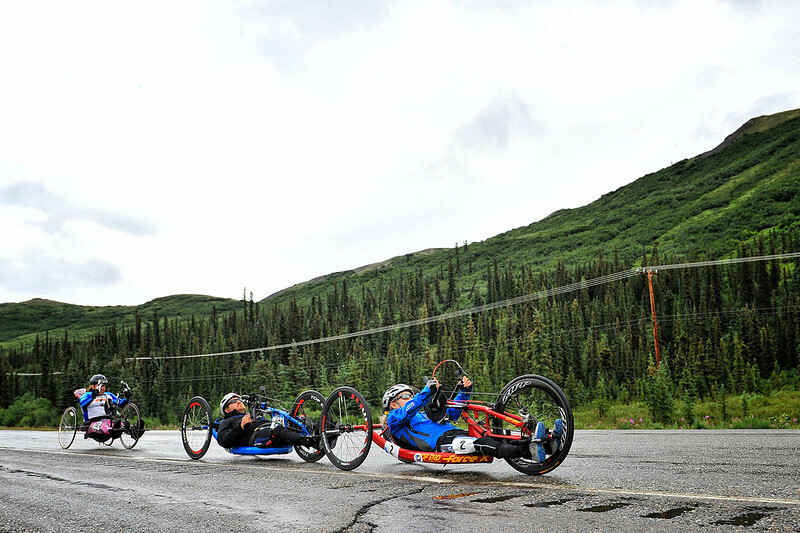 July 19, 2013: Sadler's Alaska Challenge Stage Five from Milepost 211 to Milepost 183. Peer Bartels (Leer, Germany) races along the Parks highway during stage five. Bartels finished the 28.2-mile stage in 1:24:15. 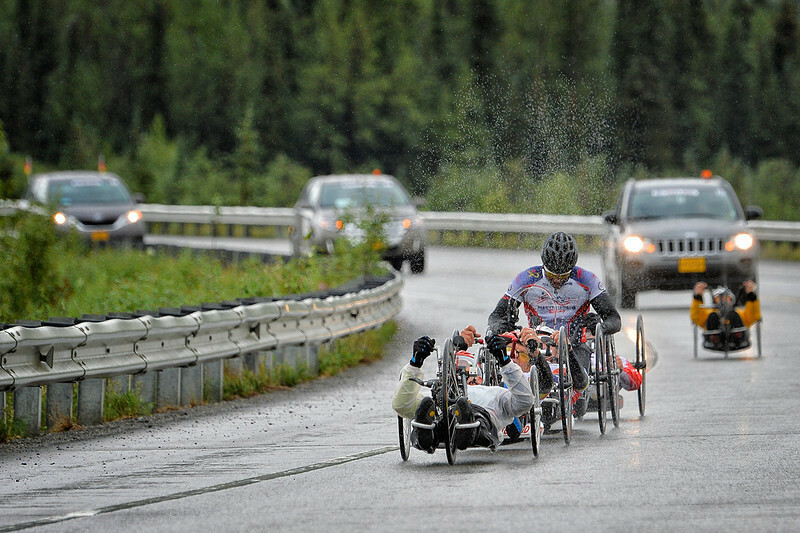 July 19, 2013: Sadler's Alaska Challenge Stage Five from Milepost 211 to Milepost 183. 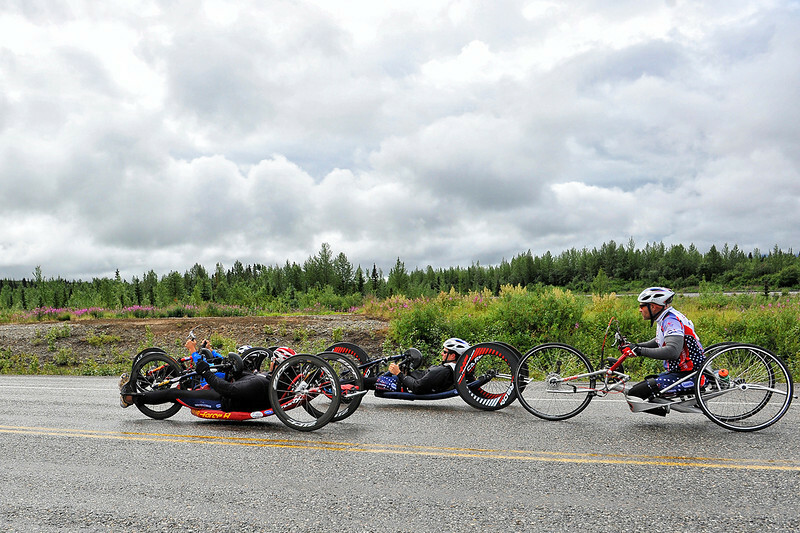 A group of five handcyclists race along the Parks highway during stage five. 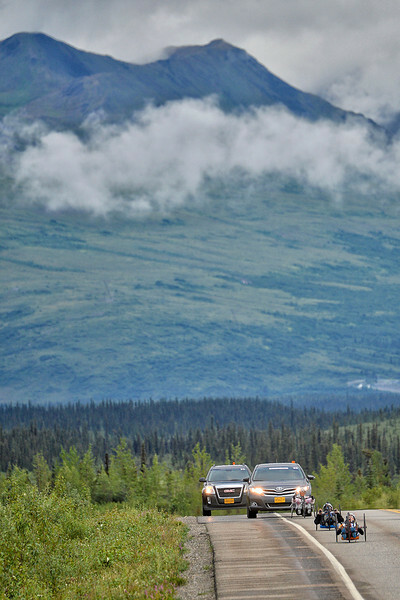 July 19, 2013: Sadler's Alaska Challenge Stage Five from Milepost 211 to Milepost 183. Michael Bishop (Beech Island, S.C.) and Carrie Finale (Navarre, Fla.) race along the Parks highway during stage five. 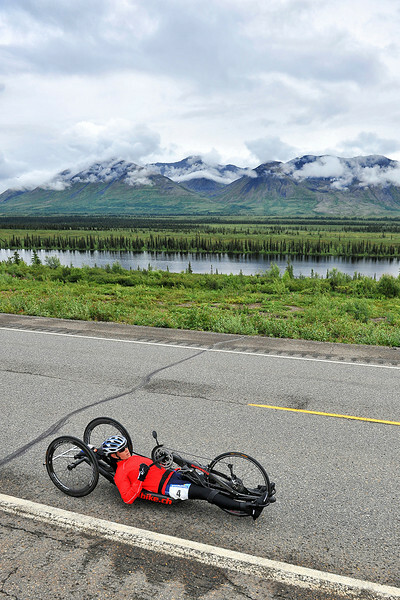 July 19, 2013: Sadler's Alaska Challenge Stage Five from Milepost 211 to Milepost 183. 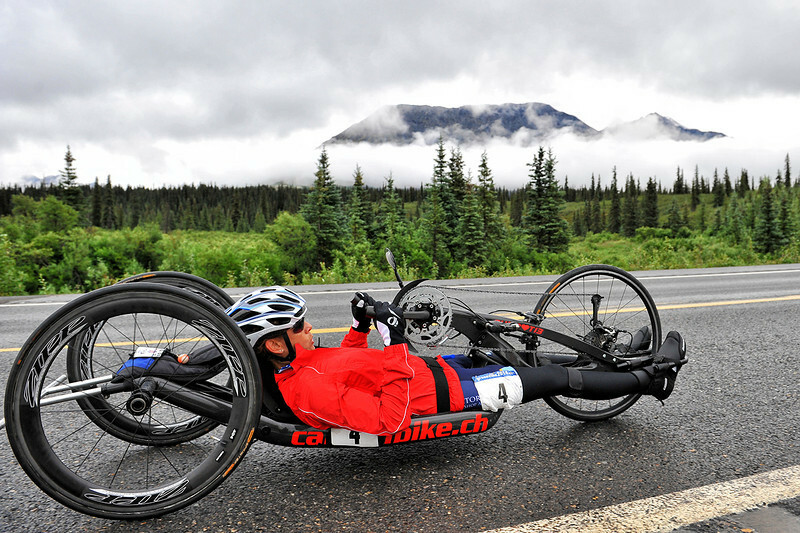 July 19, 2013: Sadler's Alaska Challenge Stage Five from Milepost 211 to Milepost 183. 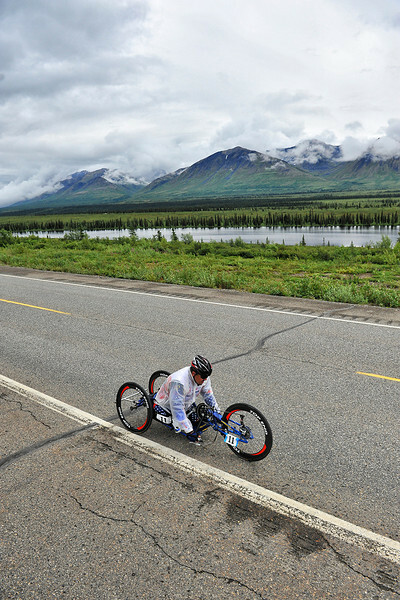 Karin Korb (N. Lauderdale, Fla.) race along the Parks highway during stage five. Korb finished the 28.2-mile stage in 2:03:35. 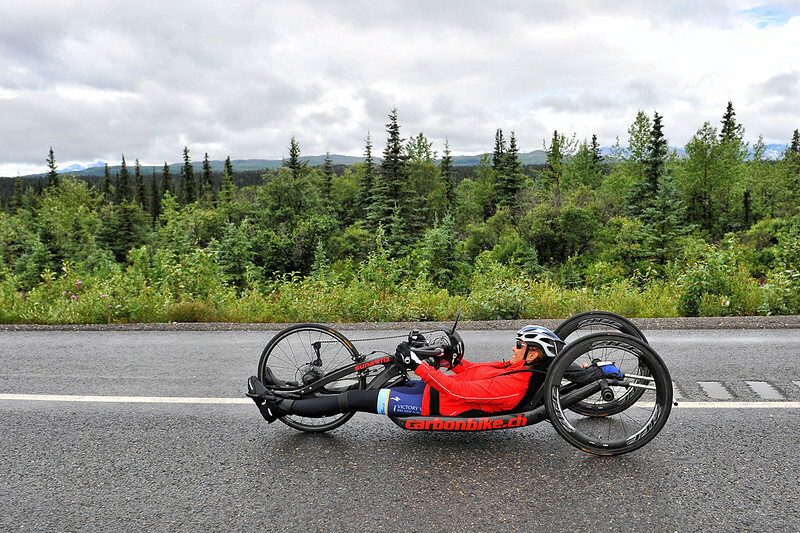 July 19, 2013: Sadler's Alaska Challenge Stage Five from Milepost 211 to Milepost 183. Carrie Finale (Navarre, Fla.) and Michael Bishop (Beech Island, S.C.) race along the Parks highway during stage five. 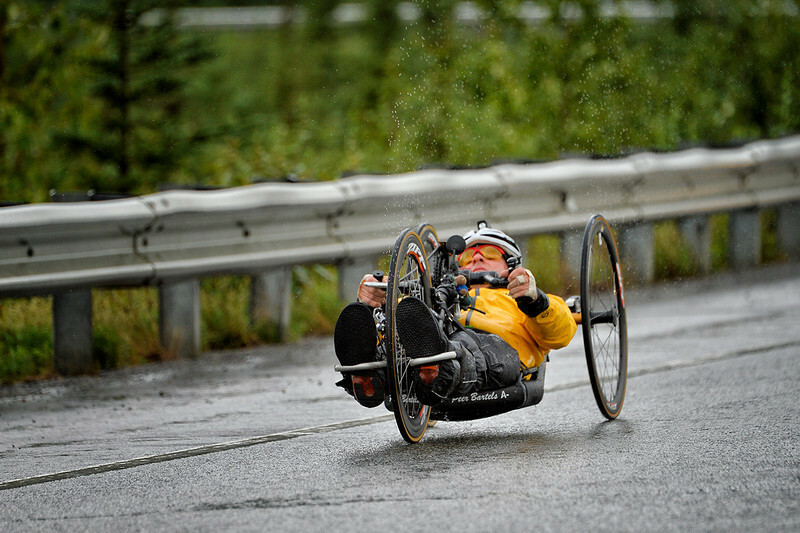 July 19, 2013: Sadler's Alaska Challenge Stage Five from Milepost 211 to Milepost 183. 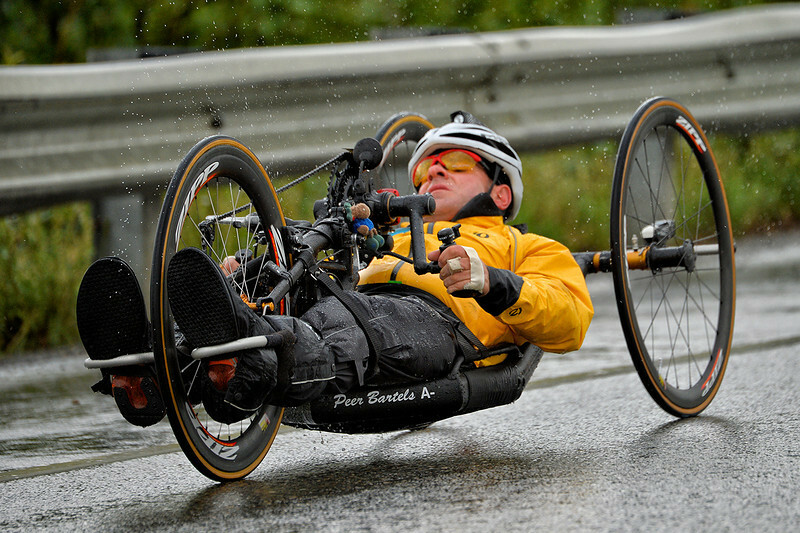 Robert Puckett III (St. Petersburg, Fla.) races along the Parks highway during stage five. Puckett finished the 28.2-mile stage in 1:31:43. 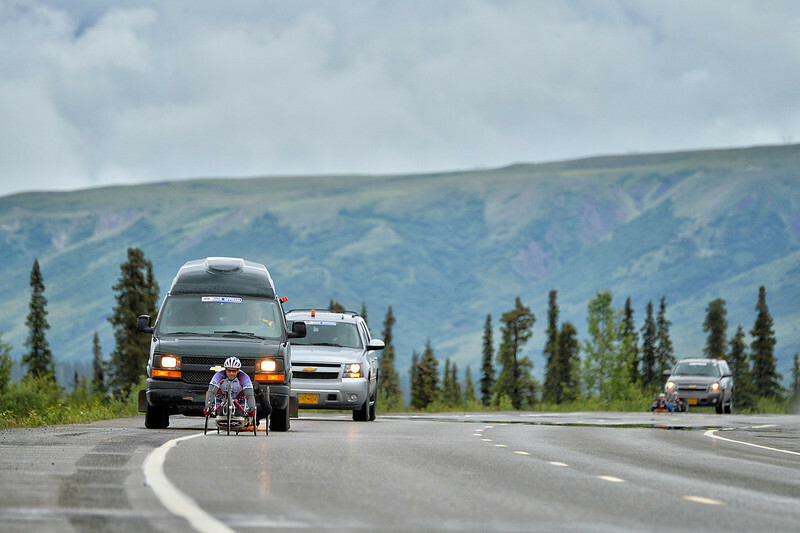 July 19, 2013: Sadler's Alaska Challenge Stage Five from Milepost 211 to Milepost 183. Michael Postell (Snellville, Ga.) and Jacob Freeland (Asheville, N.C.) race along the Parks highway during stage five. 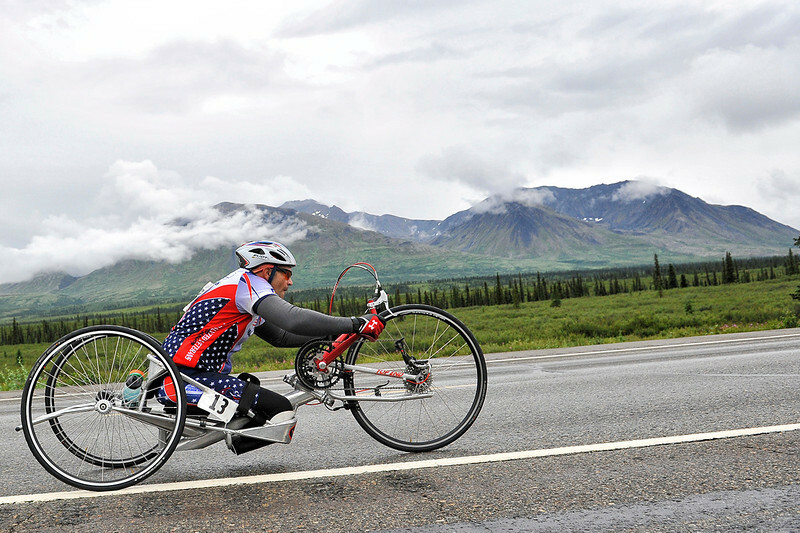 July 19, 2013: Sadler's Alaska Challenge Stage Five from Milepost 211 to Milepost 183. 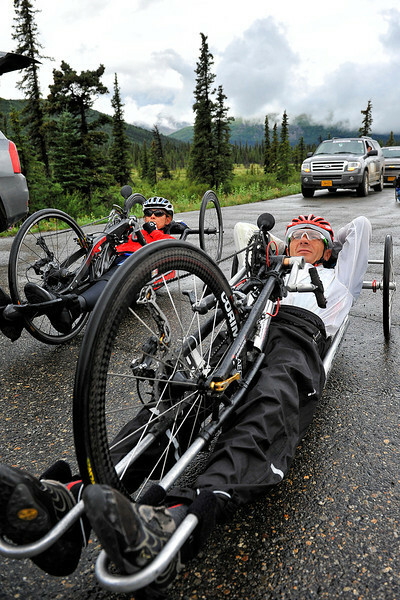 Thea Rosa (Cool, Calif.) races along the Parks highway during stage five. Rosa finished the 28.2-mile stage in 1:45:58. 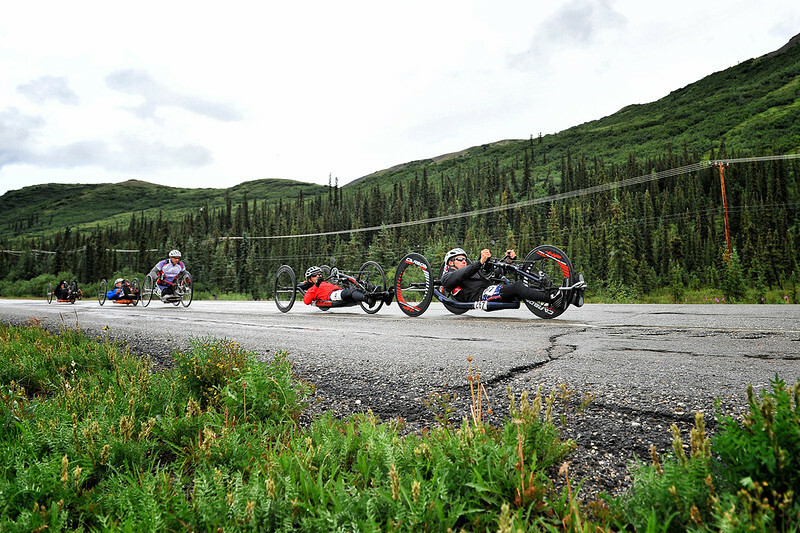 July 19, 2013: Sadler's Alaska Challenge Stage Five from Milepost 211 to Milepost 183. 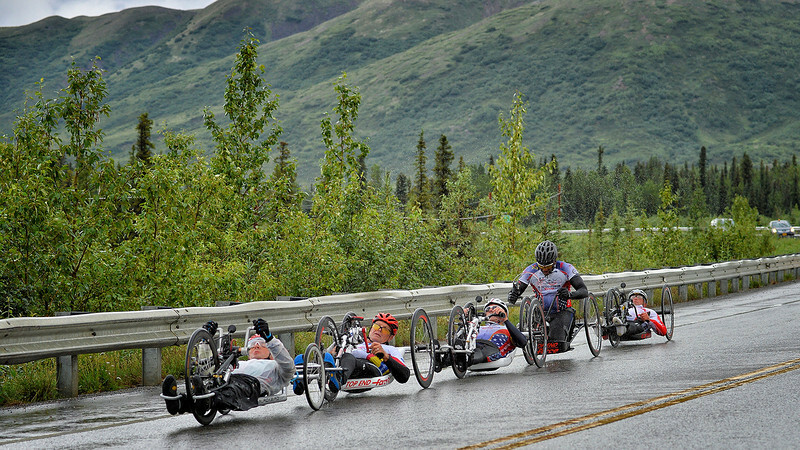 A group of handcyclists race on the Parks Highway during stage five. 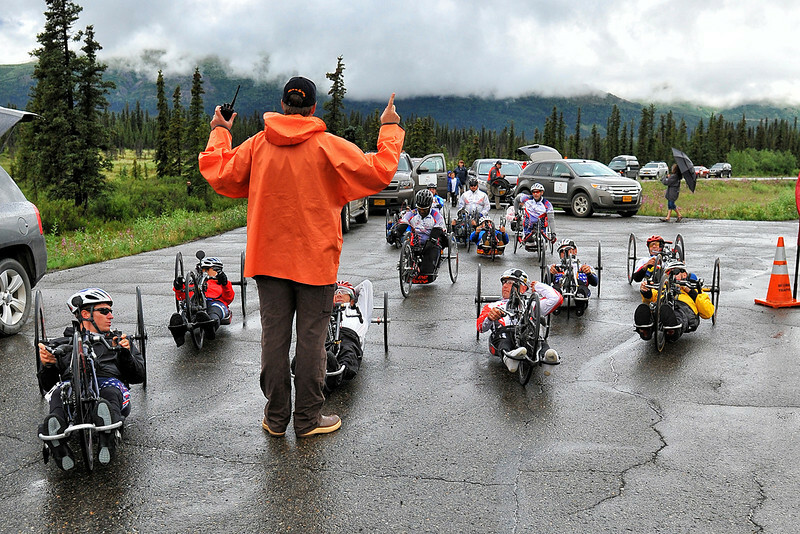 July 19, 2013: Sadler's Alaska Challenge Stage Five from Milepost 211 to Milepost 183. 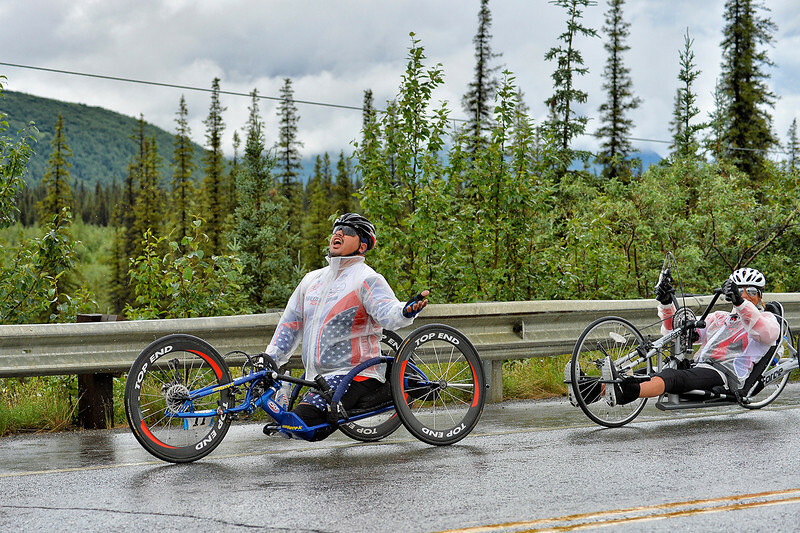 A group of three handcyclists race along the Parks highway during stage five. 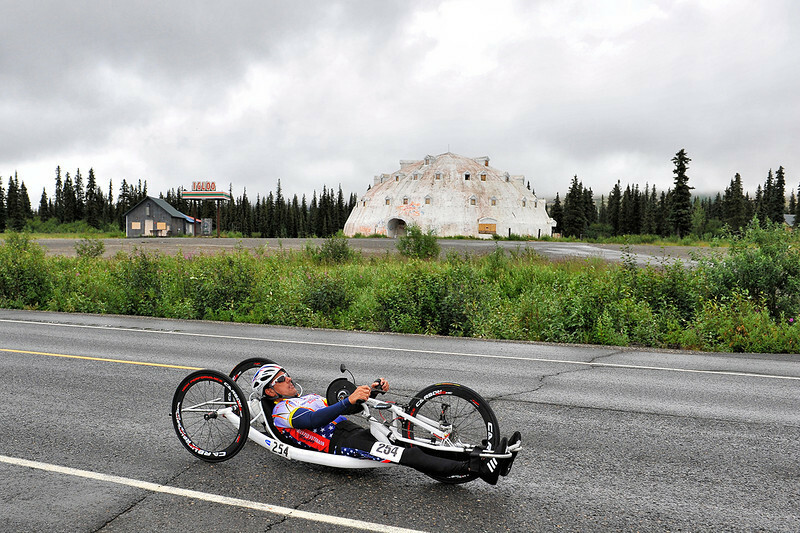 July 19, 2013: Sadler's Alaska Challenge Stage Five from Milepost 211 to Milepost 183. Carrie Finale (Navarre, Fla.) races along the Parks highway during stage five. Finale finished the 28.2-mile stage in 1:55:55. July 19, 2013: Sadler's Alaska Challenge Stage Five from Milepost 211 to Milepost 183. Michael Bishop (Beech Island, S.C.) races along the Parks highway during stage five. Bishop finished the 28.2-mile stage in 1:55:56. July 19, 2013: Sadler's Alaska Challenge Stage Five from Milepost 211 to Milepost 183. 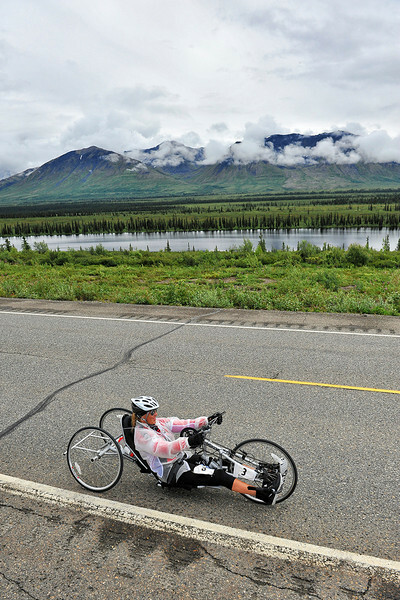 Karin Korb (N. Lauderdale, Fla.) races along the Parks highway during stage five. Korb finished the 28.2-mile stage in 2:03:35. July 19, 2013: Sadler's Alaska Challenge Stage Five from Milepost 211 to Milepost 183. 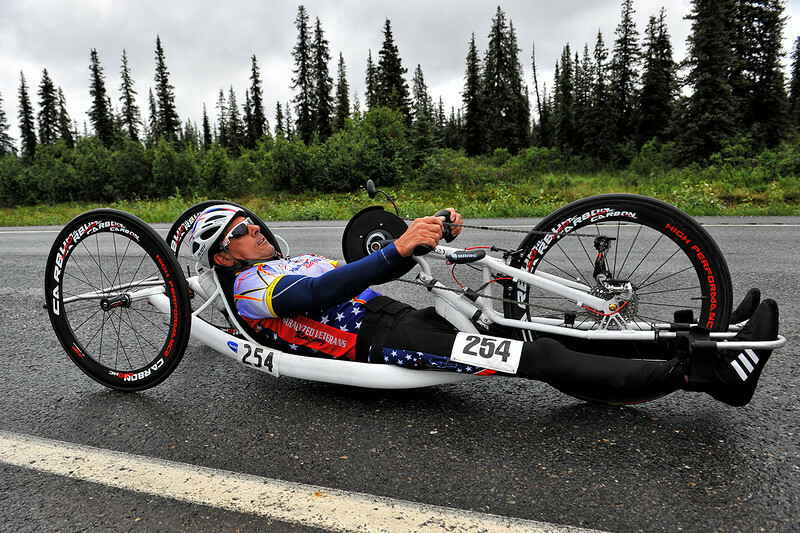 Joseph Beimfohr (Wesley Chapel, Fla.) races along the Parks highway during stage five. Beimfohr finished the 28.2-mile stage in 2:03:34. 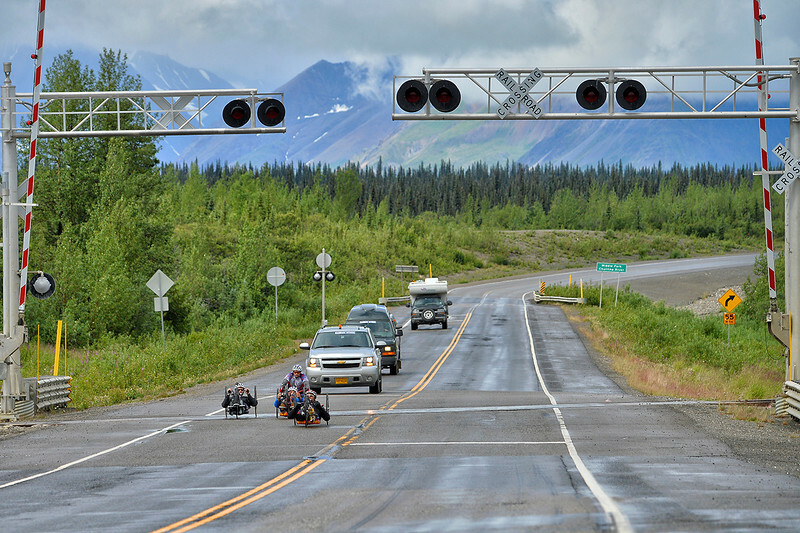 July 19, 2013: Sadler's Alaska Challenge Stage Five from Milepost 211 to Milepost 183. 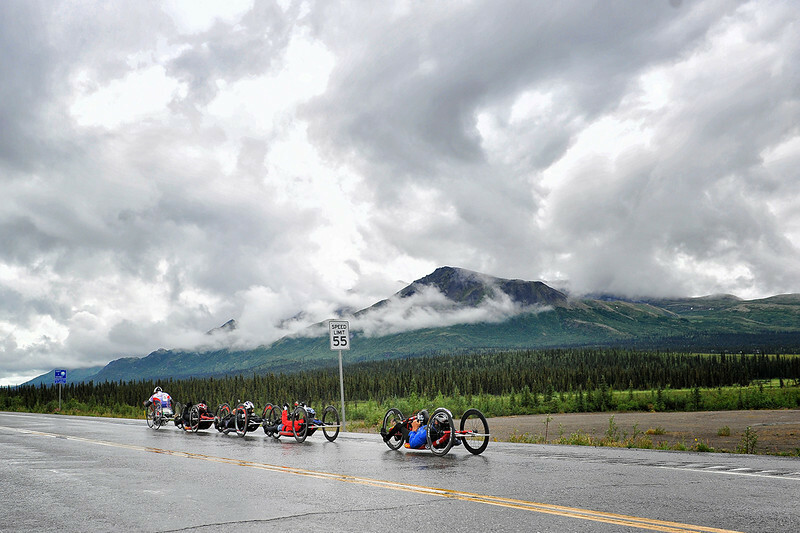 A group of handcyclists race along the Parks highway during stage five. July 19, 2013: Sadler's Alaska Challenge Stage Five from Milepost 211 to Milepost 183. 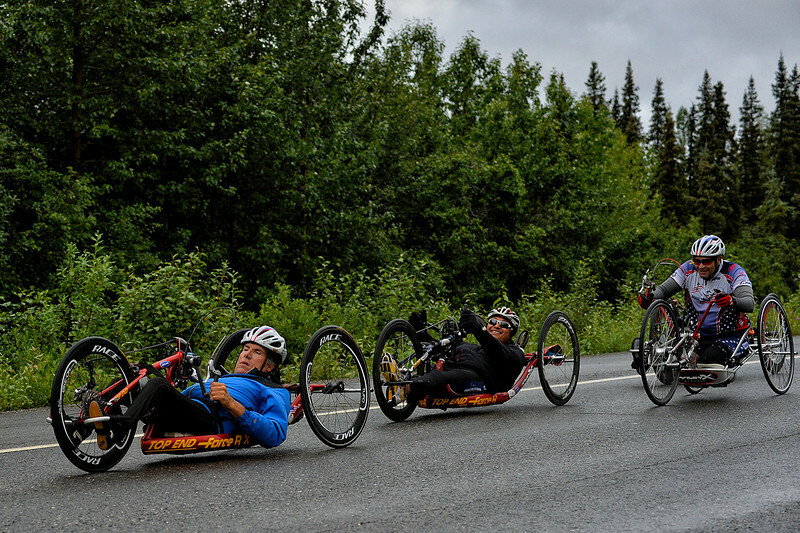 A group of four handcyclists race along the Parks highway during stage five. July 19, 2013: Sadler's Alaska Challenge Stage Five from Milepost 211 to Milepost 183. Carlos Moleda (Bluffton, S.C.) races along the Parks highway during stage five. Moleda finished the 28.2-mile stage in 1:24:15. July 19, 2013: Sadler's Alaska Challenge Stage Five from Milepost 211 to Milepost 183. 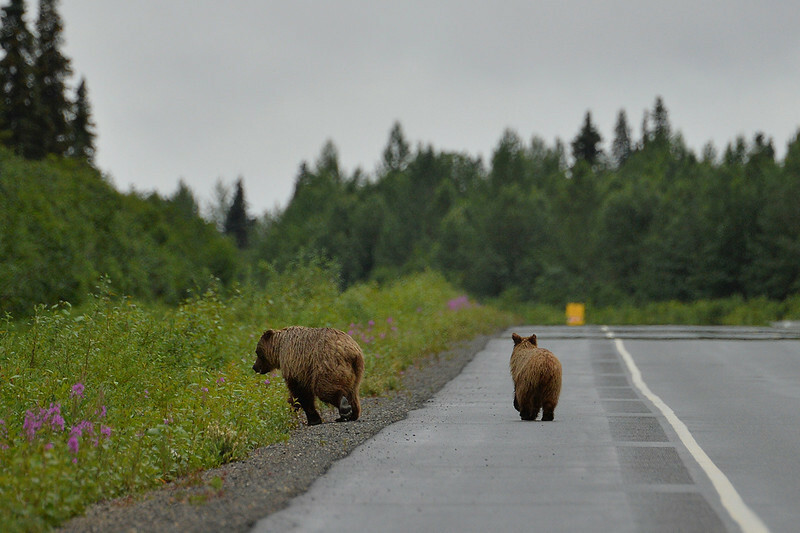 Robert Puckett III (St. Petersburg, Fla.) alert the pilot car drivers about a pair of brown bears crossing the Parks highway during stage five. July 19, 2013: Sadler's Alaska Challenge Stage Five from Milepost 211 to Milepost 183. 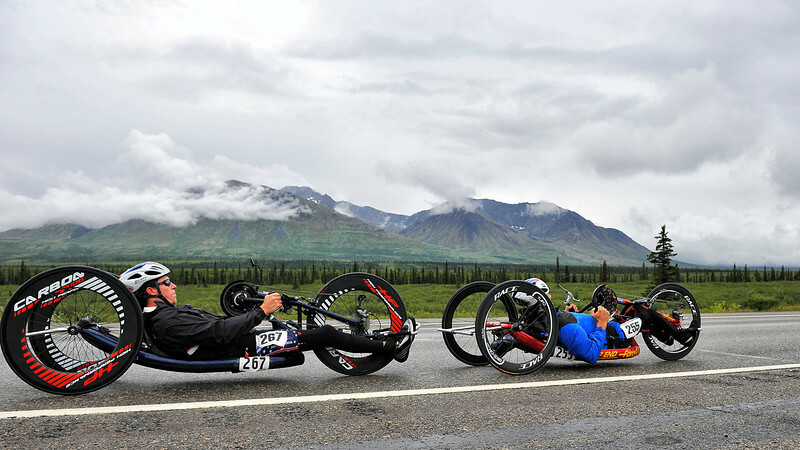 A pair of brown bears cross the Parks highway in front of the handcyclists during stage five. 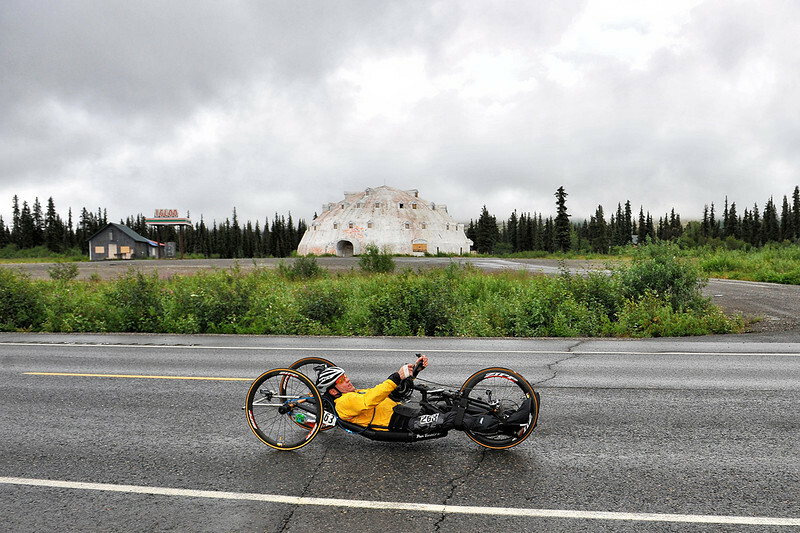 July 19, 2013: Sadler's Alaska Challenge Stage Five from Milepost 211 to Milepost 183. Michael Postell (Snellville, Ga.), Gerard Ah Fook (Tucson, Ariz.) and Robert Puckett III (St. Petersburg, Fla.) race along the Parks highway during stage five.